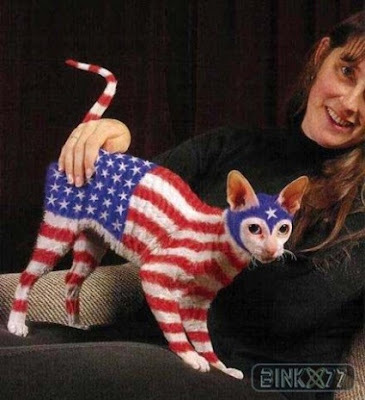 I went on a hunt for patriotic animal photos to share for 4th of July. But I couldn't do that. So my thoughts around 4th of July go something like this: Friends, booze, food, family, food, booze, fireworks, food, booze, food, red, food, blue, food. Who doesn't think about food on 4th of July? C'mon. Because I already know you're on to the photos, I won't waste any more time, I present to you a foodie's fourth of July. This foodgasm was brought to you by Pinterest, where most of the images are complete with recipes on how to make it happen for yourself. Follow The Starr Conspiracy on Pinterest for an inside look into the nerdery, geekery and weirdness that is our agency.